Make fabrics look and smell like new. 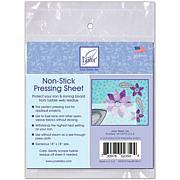 This clear starch alternative with soil guard and wrinkle resister makes ironing easier. Non-flaking, even on dark fabrics, it's also non-clogging, acid free and leaves no residue behind. Help relax stubborn wrinkles and give clothing a crisp, new finish. 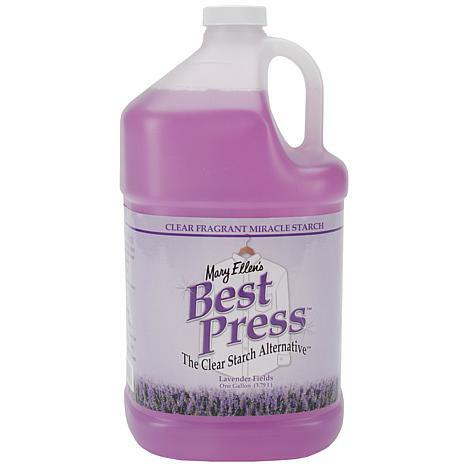 Oh I love the Best Press liquid light starch, there is no flaking and smells beautiful. 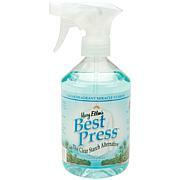 Best Press is a clear winner when it comes to a starch alternative. It give fabric a crisp smooth finish without the flakey starch problems. 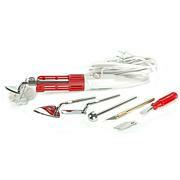 Perfect for quilters to get a nice "hand" to the fabric for cutting and piecing without the stiffness of starch. I love the linen scent. It is fresh and clean without a flowery scent. The gallon is a great bargain compared to buying the individual bottles. 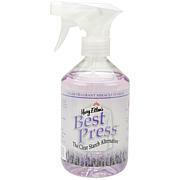 I will never be without Best Press in my quilting studio.